the age of 10 thanks to life long friend, co-worker and now crew chief Jim. 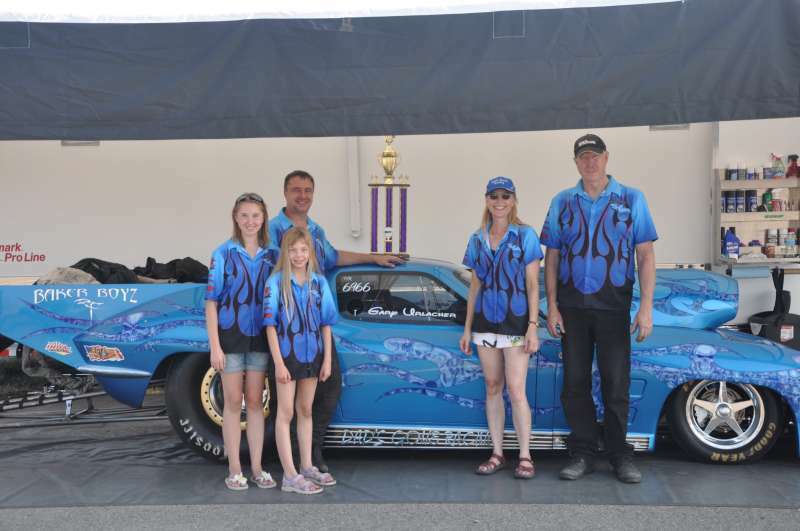 in Edmonton, Gary got hooked on the sport of Drag Racing. Got his first hot rod at the age of 17 and never looked back. He was finally able to make the plunge. of these nitrous cars" At that point, we are here with this Jerry Bickel built Promod. Susan Urlacher, Amanda Urlacher, Vicki Urlacher and crew member Jim Mason. Always looking for additional team members.. If you are interested in joining our Promod team please send me an email.